WHAT'S NEW WITH YOUR GOOD FRIENDS? 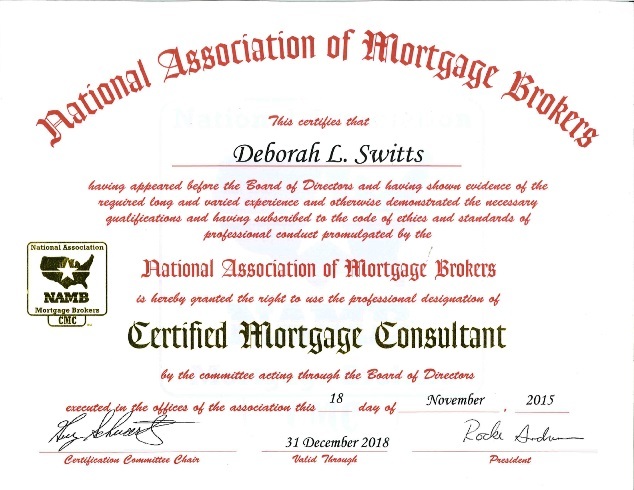 Congratulations to Robert Switts, MLO with Good Friend Mortgage! Robert's attention to detail and knowledge allowed him to earn an award from the largest wholesale lender in the USA. Robert led the nation withTHE fastest closings in all of UWM beating every single MLO across the nation. Lock in a Rate and Shop for up to 90 days! Protect yourself from rate increases! We LOVE our clients and having clients for life by providing honest transactions with integrity. We are now closing loans for 2nd generation clients; closing loans for the children of previous clients. Sorry to tout our own horn here, but you know you are doing it right when families send their own kids to you as first time home buyers, now that's Trust! That's a Good Friend you can count on! Just a few comments from our recent closings from our clients! This is why we have a 5 Star Google Rating! "Debbie and her team did an amazing job. They were able to secure my financing with a lower fixed rate than I was expecting and helped navigate the complicated VA loan process. It was always easy to get in touch with who I needed, when I needed, and they always had an answer for me. I would absolutely recommend Good Friend Mortgage to anyone in need of a loan. - Clay"
"First let me say that this is the second time I've used this group." - Derrek"
"After seeing thier dedication, I had no problem referring two of my friends - Robert"
New Program for those in the Entertainment Industry! Good Friend Mortgage is a lender and broker whose mission is to sift through thousands of available loan programs to find the one that is best for you. 30 Year Fixed, 15 Year Fixed, Even 40 Year Fixed, FHA, FHA 203k, FHA EEM, VA, Conventional, 7/1 ARM, 5/1 ARM, USDA Rural, HARP, Reverse, etc. Choosing Good Friend Mortgage is like visiting 20 banks to find the loan designed to fit your needs. As a mortgage lender and broker, we have spent years building strong relationships with wholesale lenders. These vested relationships provide opportunities to discover niche products and new product offerings as they hit the market. With access to hundreds of investors, we can provide the breadth of programs and the services you deserve. We are comfortable saying that we provide local connoisseur service in a non-intimidating atmosphere. We take into consideration important subtleties and how they are going to affect your home financing experience. We sincerely care about how we serve you, and we literally treat you like we would a member of our own family. Contact Good Friend Mortgage to evaluate your situation and guide you through choosing the exact loan to meet your specific needs. Good Friend Mortgage thanks you for visiting our website and we look forward to putting our mortgage expertise and exemplary services to work for you! So what are the 10 Characteristics of a Good Friend? To find out click HERE.